Lizzie, (Elizabeth Dinkel), my eldest daughter, started work with me back in 1990. My New York office needed a new managing partner, and my husband, Ridgely, suggested that I ask her. She was understandably reticent, as she worked in the financial world, but we explained that she would be free to leave at any time if it wasn’t what she was thinking about for her Life Choice. 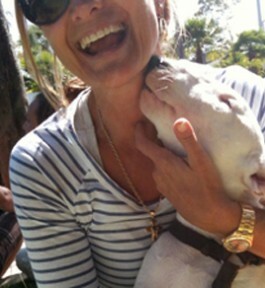 She later told me it was, regardless of her trepidation, the best decision she ever made. Certainly it was for me. I love Lizzie’s work. I know you are thinking, “Well, duh, she’s your daughter,” and certainly, I must be biased, but everybody else who has seen her work loves it too. 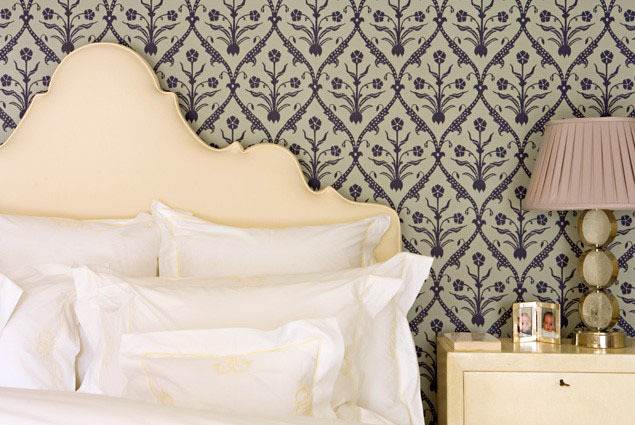 She has a beautiful soft but vibrant palette, and a wonderful ability to blend contemporary with traditional…. 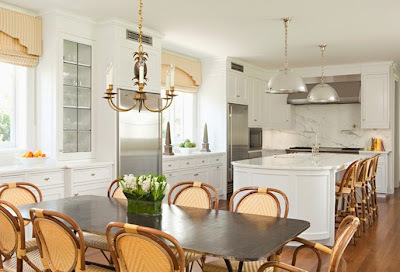 To get such a great eclectic blend—comfort, beauty, as always, Form Follows Function. 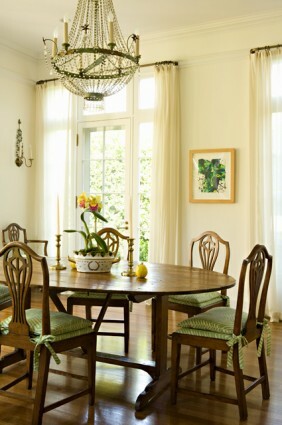 Don’t you love the acid green on the curtain fabric juxtaposed against all that white? 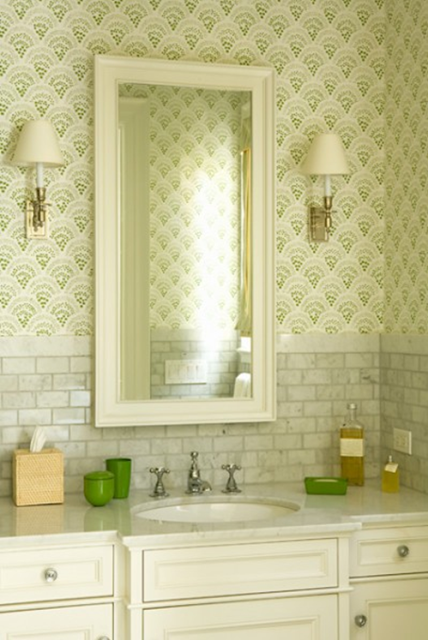 She uses that same green and white combination above in a powder room showing the same concern for detail as in the larger area. 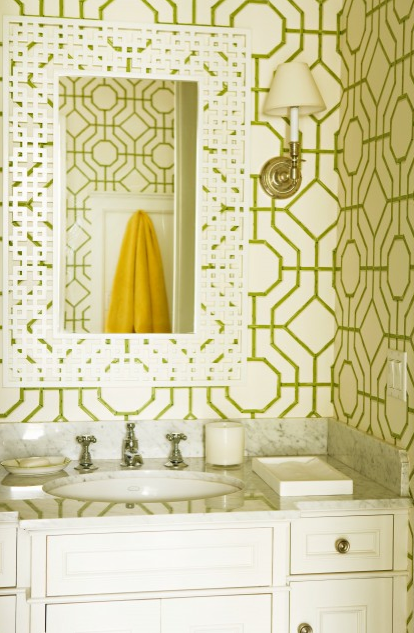 Notice the fretwork mirror overlaid on the Cowtan and Tout wallpaper. She does it again in the bathroom below, green and white, but this time with marble “subway” tile and bright green glasses and accessories. 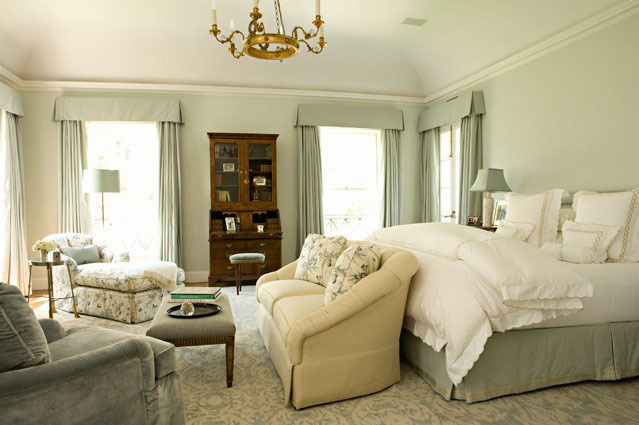 She uses this cool combination in the lovely bedroom below, where she dilutes the two-tone combination with the addition of a soft blue…. And again in a traditional dining room where the use of a hand-painted wallpaper softens the mahogany table and chairs. I like to think that the apple didn’t fall far from the tree in the way she makes her beds—lots of luscious linens there—and in the clean dining room table. Dining room tables should not be set until it’s time to use them. Sorry—I’m pretty firm about that! Anyway, to show you that Lizzie’s palette is not limited, here’s a room in grey and white. And one in all white. And one in cream and navy. And even a blend of reds and beige. 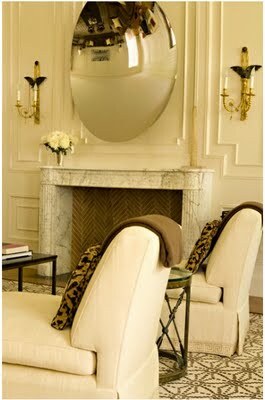 And I am sure you noticed the blend of both traditional and contemporary. Like all good decorators, Lizzie is comfortable with it all, so long as it’s good. Rather than describe more pictures, I will just let you look and decide for yourself….. I could show you loads and loads of rooms by Lizzie, each more livable and pretty than the one before, but the best thing about Lizzie is that she is fun!!! She makes decorating a house a joy—she laughs and giggles and teases, and so my favourite picture is not of a room at all. You lucky gal Leta! Nice job you did. The rooms are beautiful! You can tell that a happy person is in charge. Um, duh, is Lizzie a model/actress too?